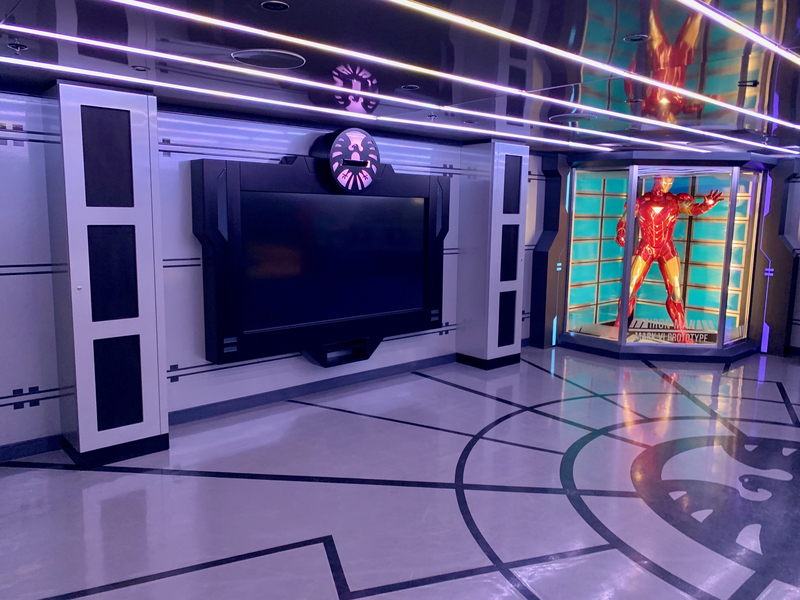 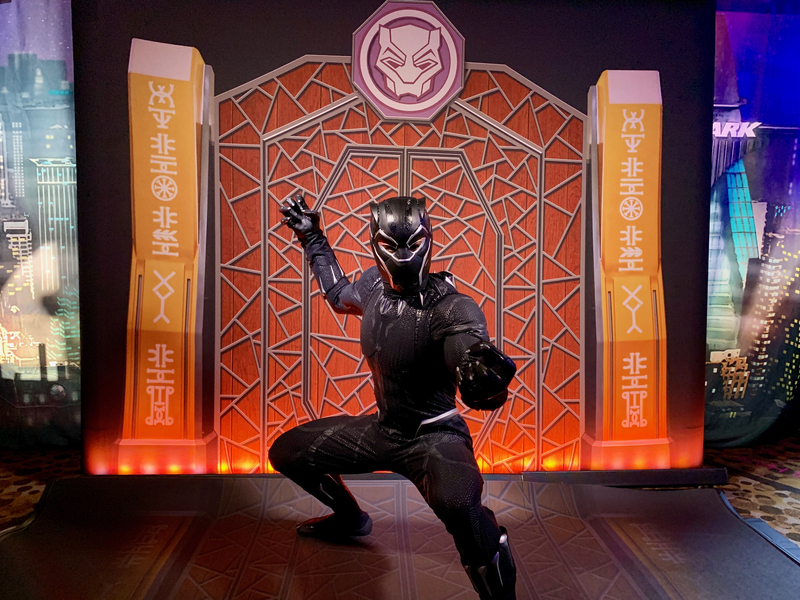 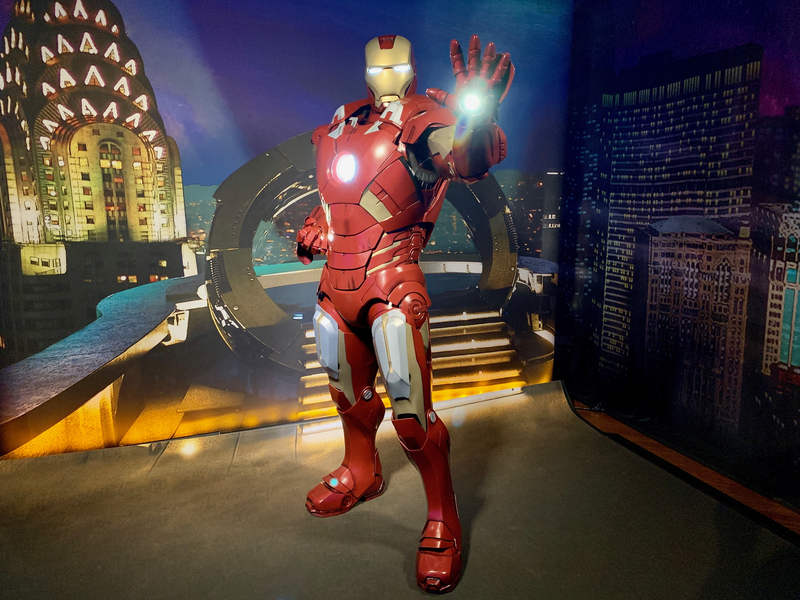 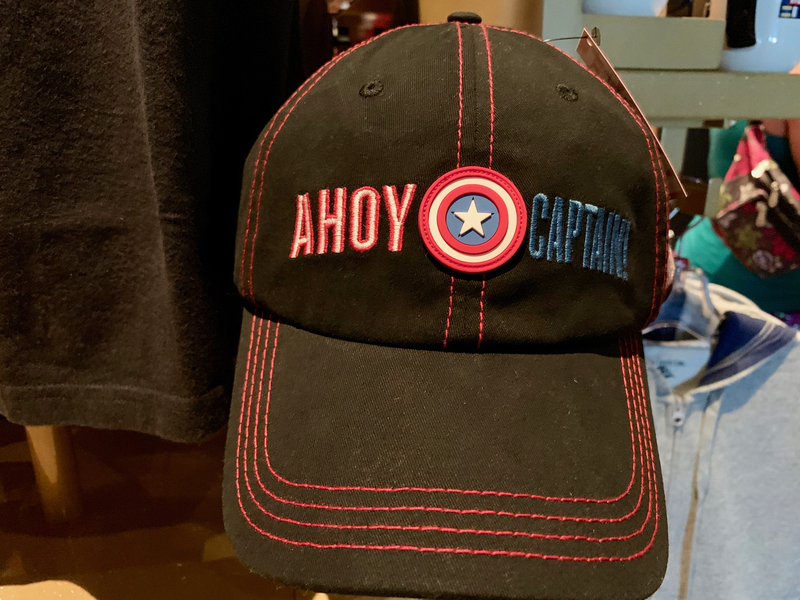 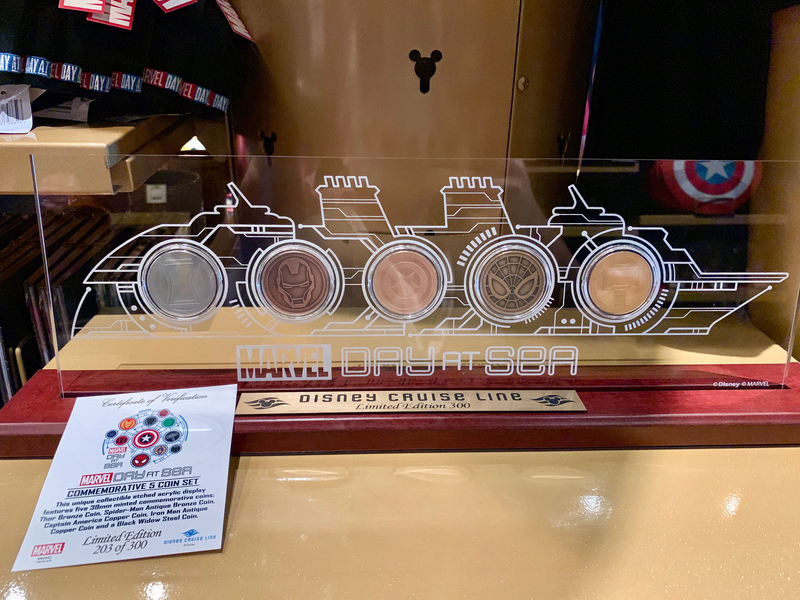 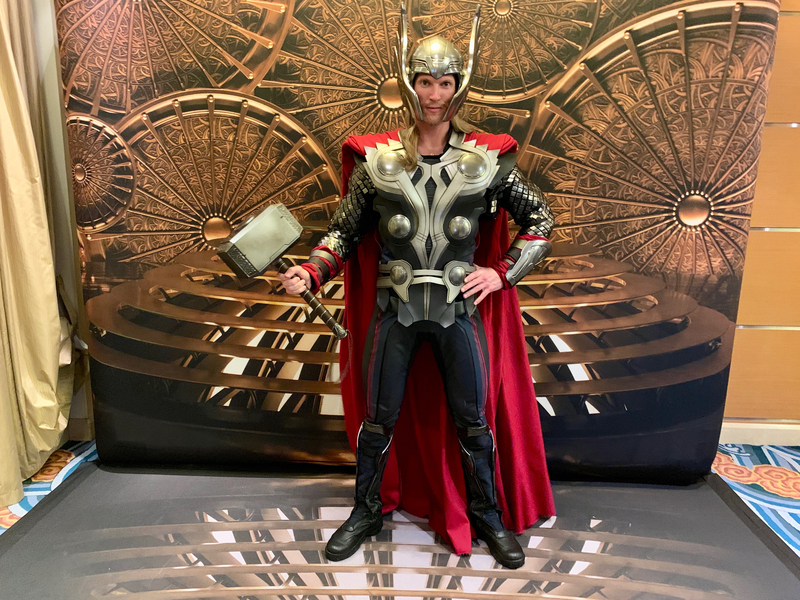 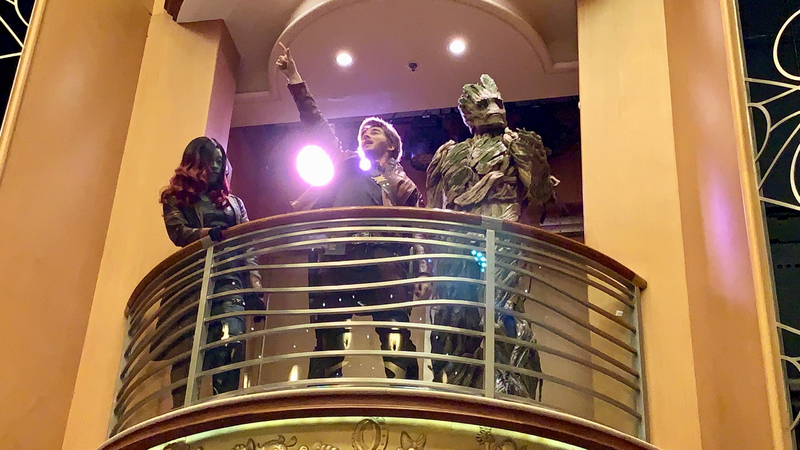 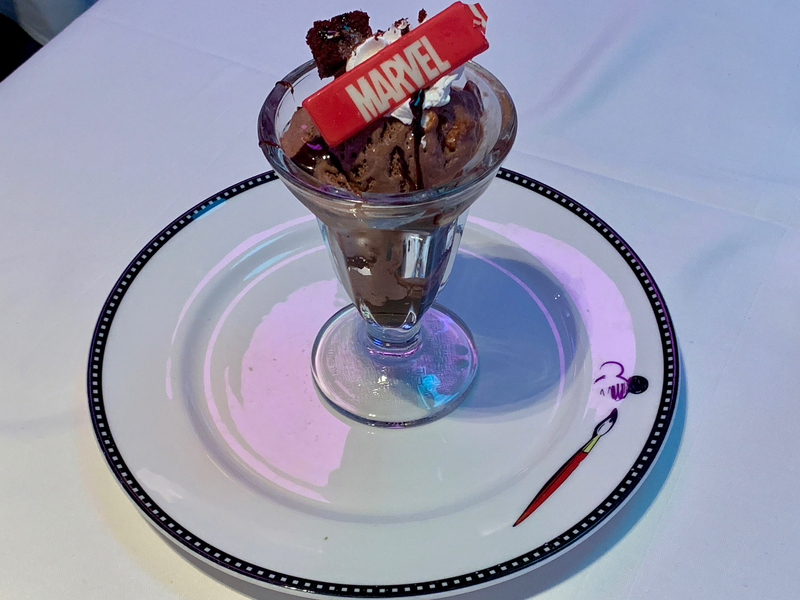 As you can tell from the “Marvel Day at Sea” Navigator, there were events non-stop all day, starting with a special ticketed meet and greets with Iron Man, Spider-Man, and Black Panther in the D-Lounge and Groot in the Animator’s Palate. 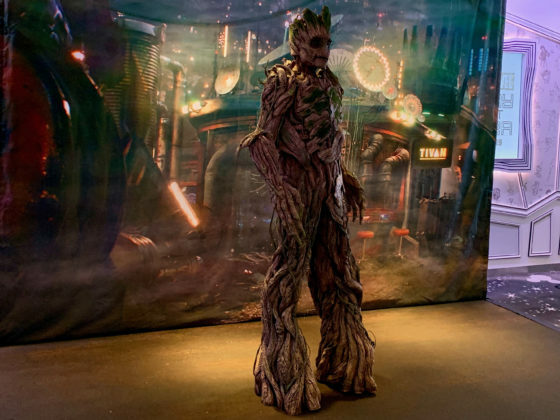 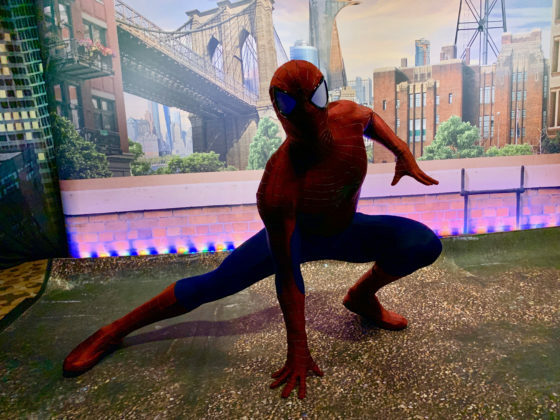 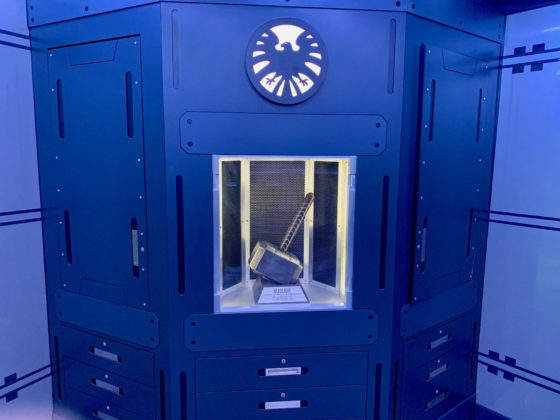 These meet and greets were very much like at the parks, with a queue waiting to get a few moments with some of the biggest names in the MCU, but you have to sign up online for a scheduled time. But other than those four, the other Marvel heroes were all over the place. 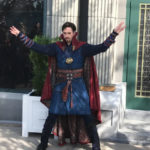 While some like Thor, Captain America, and Captain Marvel had set locations, one of my favorite things was walking and running into Star-Lord or Doctor Strange. 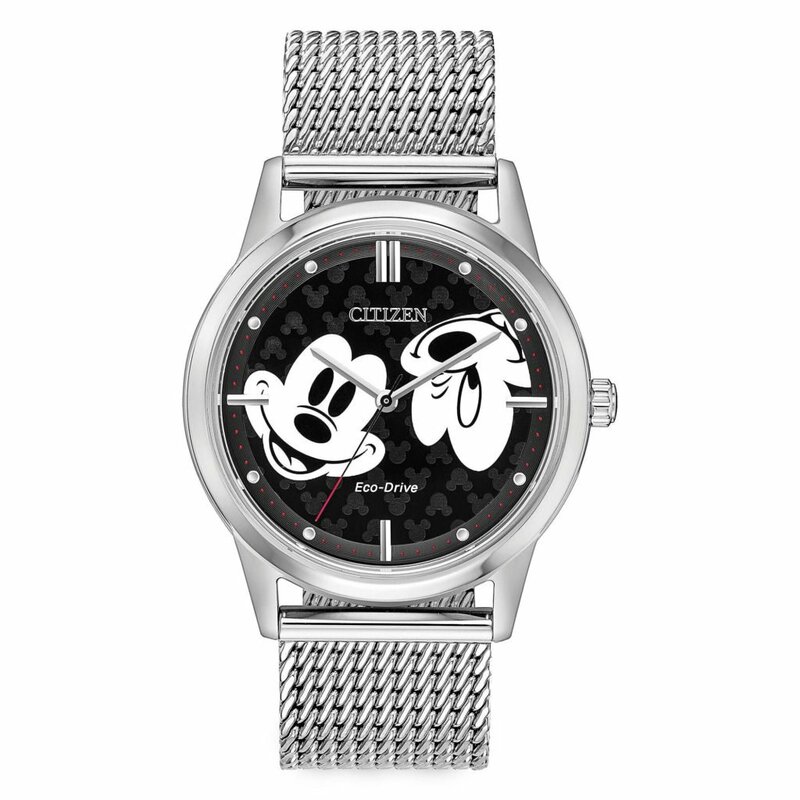 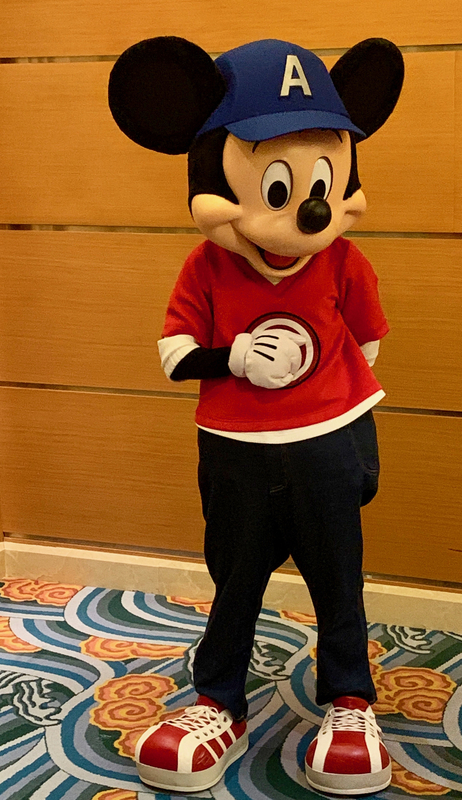 But by far the biggest fans on the ship were Mickey and his pals, who did some Marvel Bounding of their own. 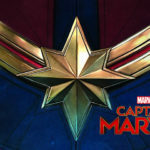 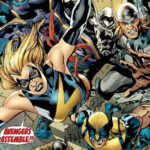 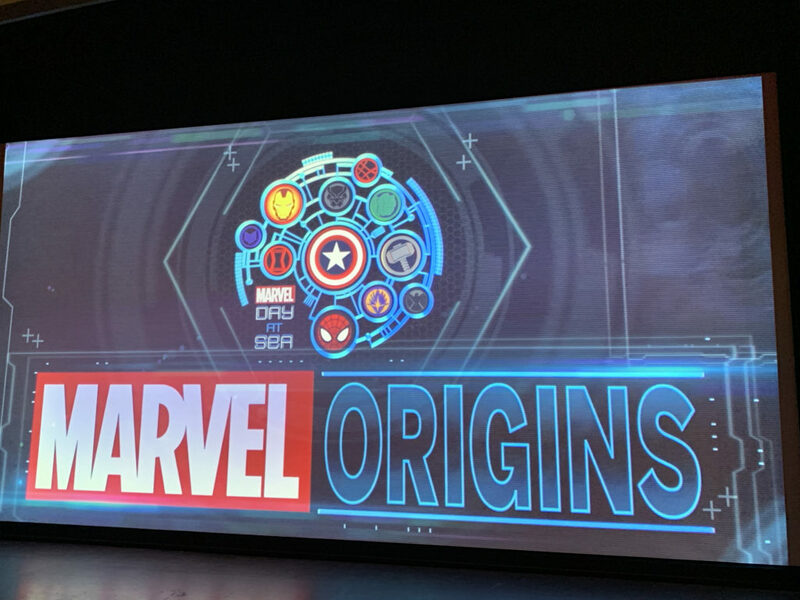 I started my day by diving into Marvel Origins, a presentation aimed for some of the newer Marvel fans that deliver deep into the history of Marvel Comics and most of the characters found aboard the ship. 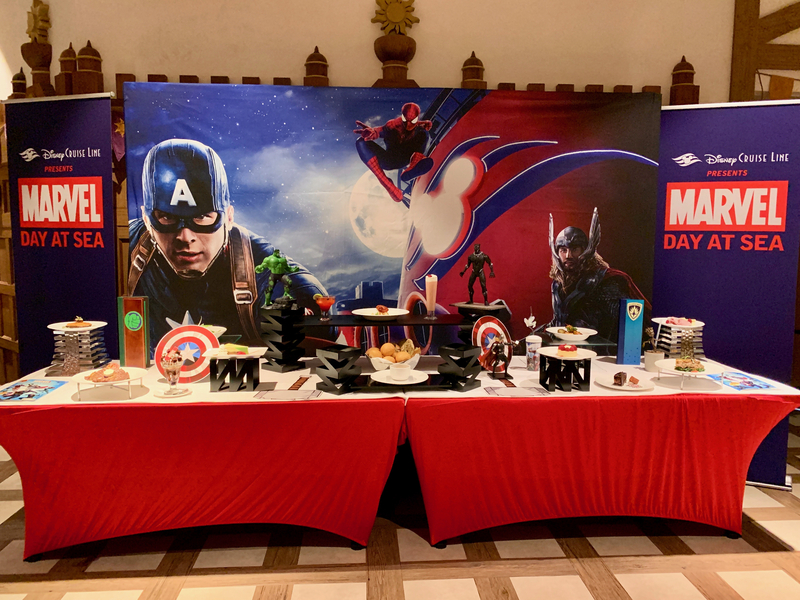 By far my favorite event of the day was the “Meet the Marvel Masters” a presentation giving a special glimpse into the inner workings of Marvel and Disney. 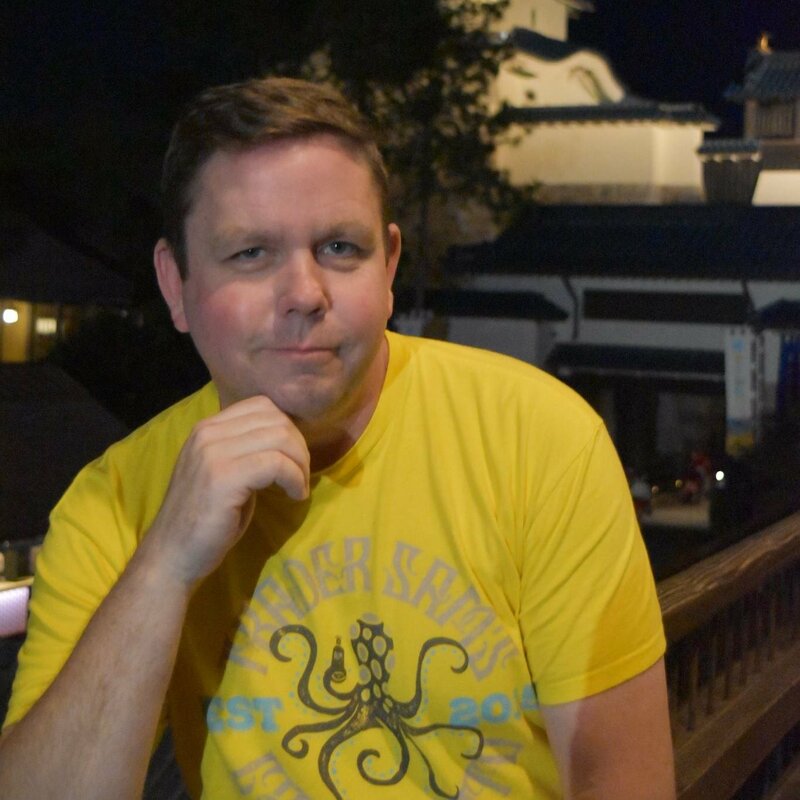 We were lucky enough to have Brian Crosby, Creative Director, Themed Entertainment for Marvel and a former Disney Imagineer who gave us a preview of some upcoming Marvel Disney Parks projects. 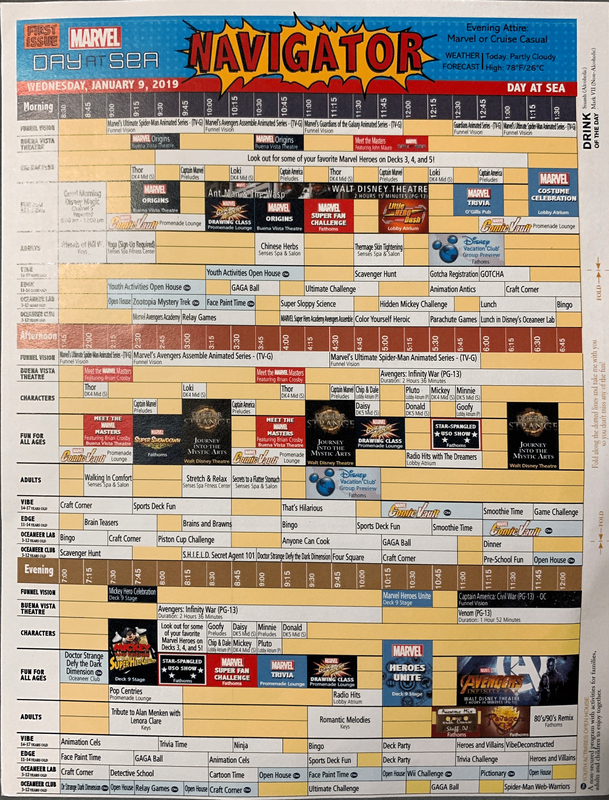 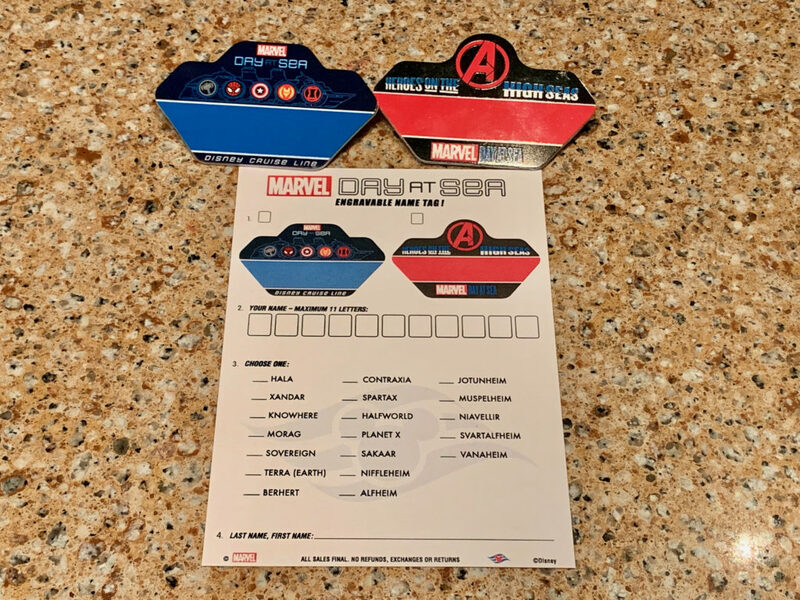 As the day went on there was Marvel trivia (both fun and extra challenging), MCU films showing in both the Buena Vista and Walt Disney Theaters, and “Doctor Strange: Journey into the Mystic Arts” in the Walt Disney Theatre. 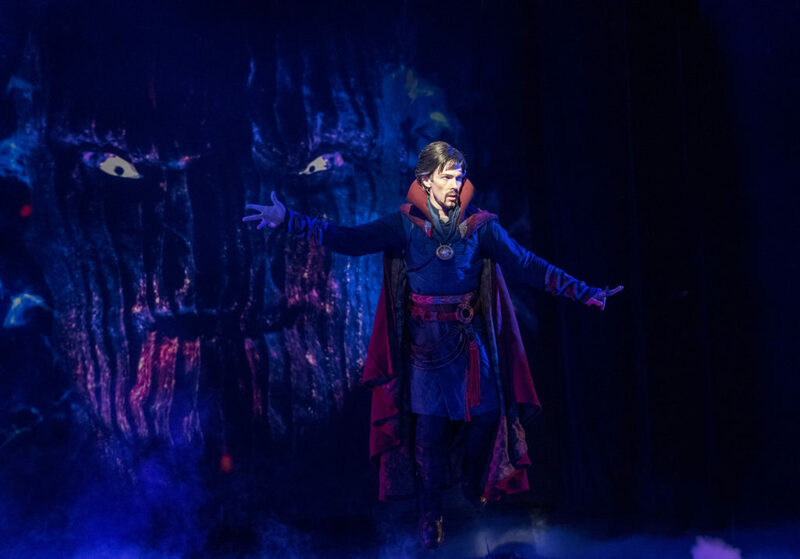 Families join Doctor Strange on a journey of discovery with the sorcerer supreme himself in an interactive new show, “Doctor Strange: Journey into the Mystic Arts” in the Walt Disney Theatre. 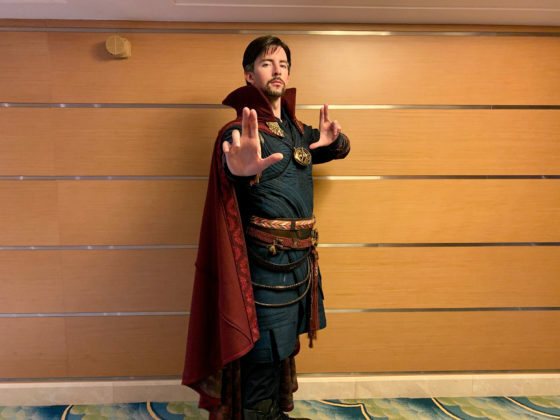 Children play a special role in the experience, as Doctor Strange calls upon young apprentices to put their skills to the test in an epic battle against the Dark Dimension. Of course, those lucky young sailors have the opportunity to interact with the Doctor Strange and some of the other superheroes not only during Marvel Day at Sea but on all sailing of the Disney Magic as part of the Marvel Super Hero Academy in the Oceaneers Club. 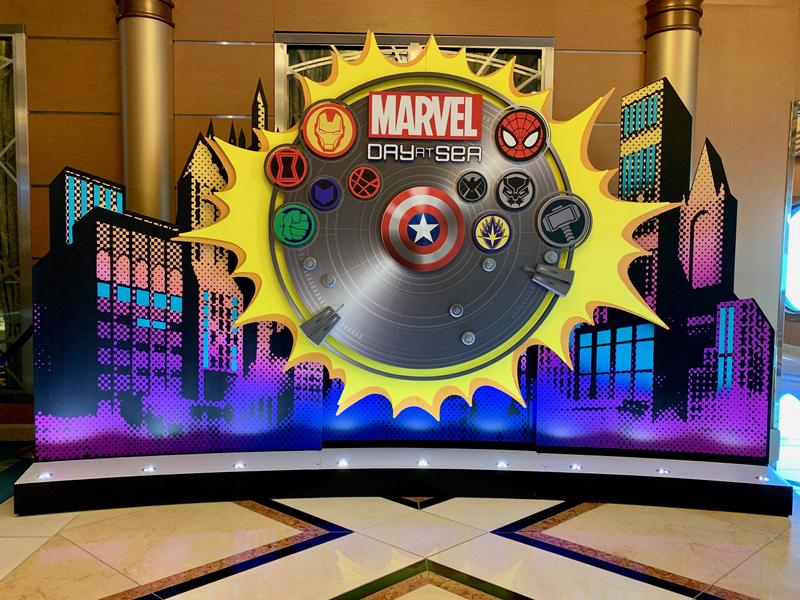 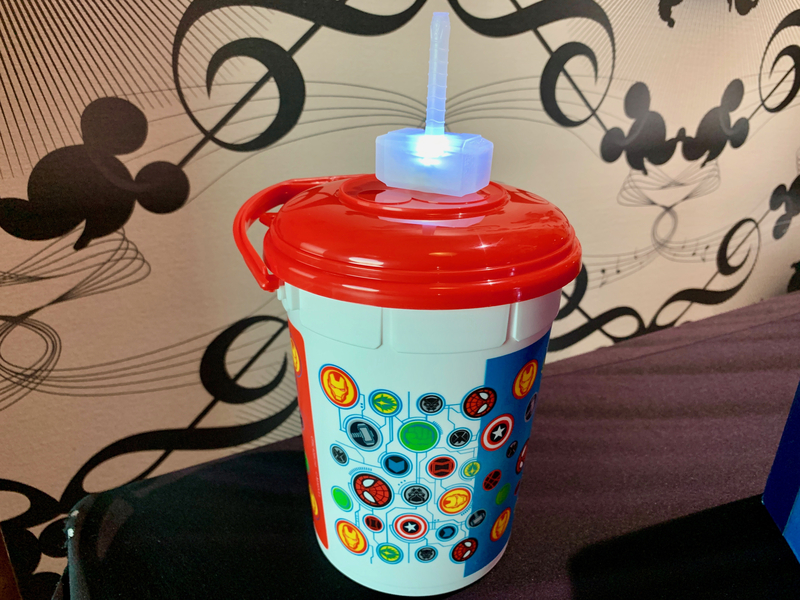 Prior to dinner (which is great for the little ones who can’t stay up that late) is the Mickey and Friends Super Hero Celebration on the main deck that brings all the Marvel Bounding Disney Characters into a fun show for the entire family. 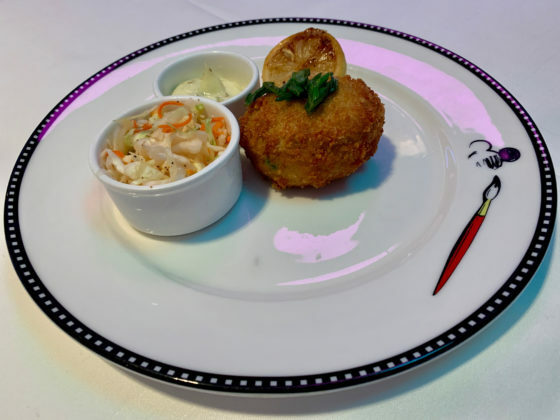 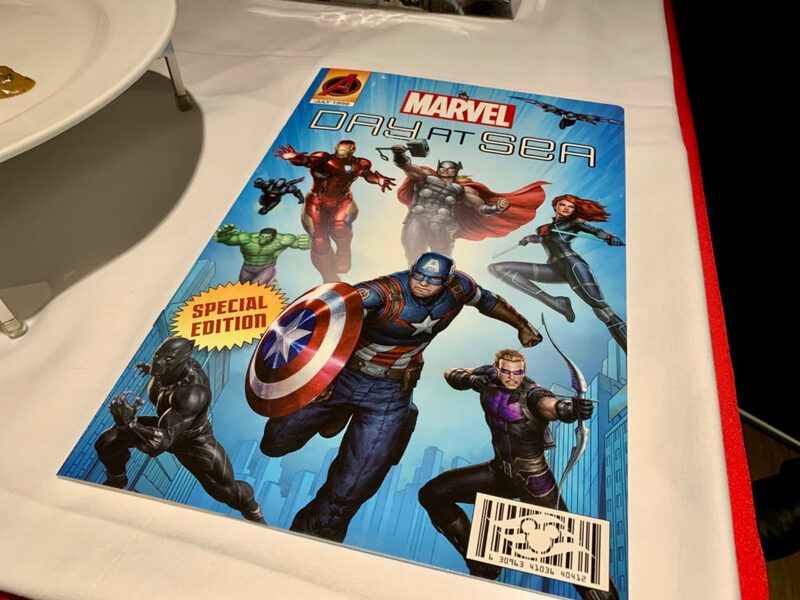 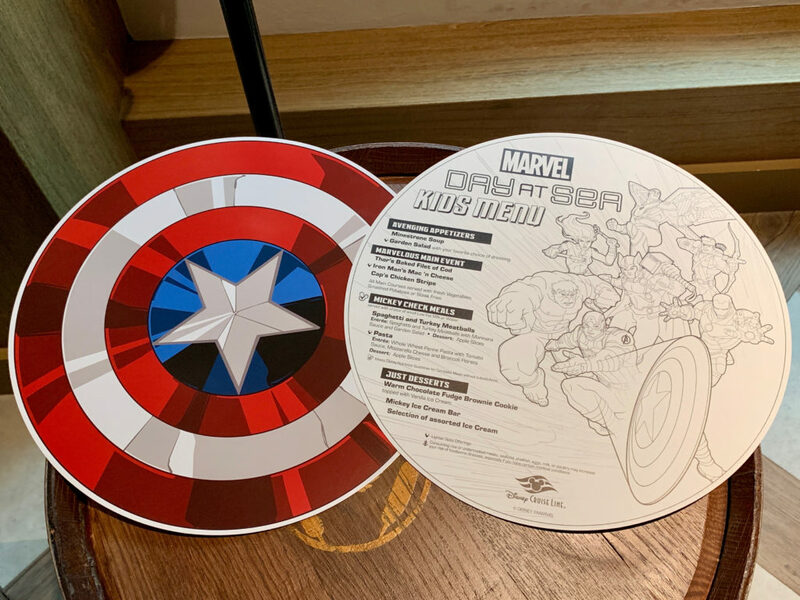 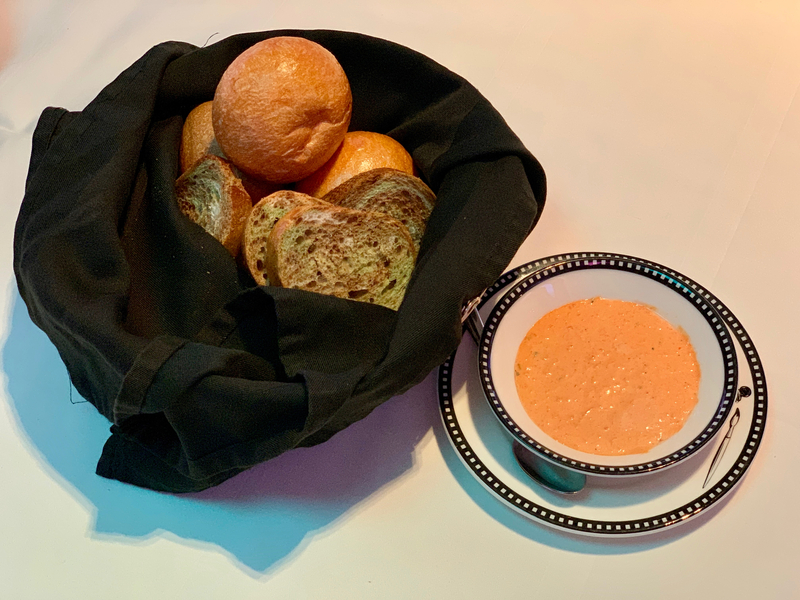 For “Marvel Day at Sea” dinner all the dining locations have the same menu with some amazing Marvel themed options. 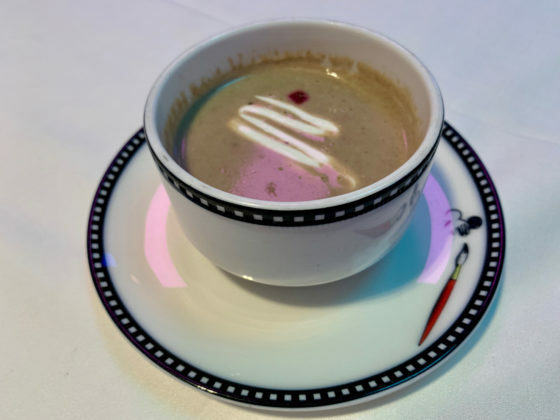 Black Widow - Cream of Porcini Mushroom Soup with Sour Cream and Beetroot. 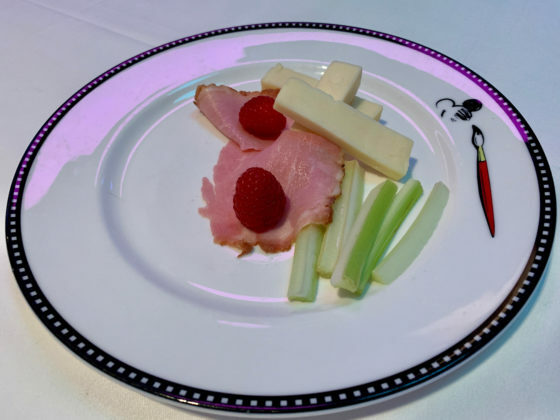 Captain America - Farmhouse Appetizer with Iowan Ham, Oregon Aged Cheddar, Celery, Sweet Pickle, and Berries. Captain America - Crispy Fried Maryland Crab Cake with Remoulade Sauce and Slaw. 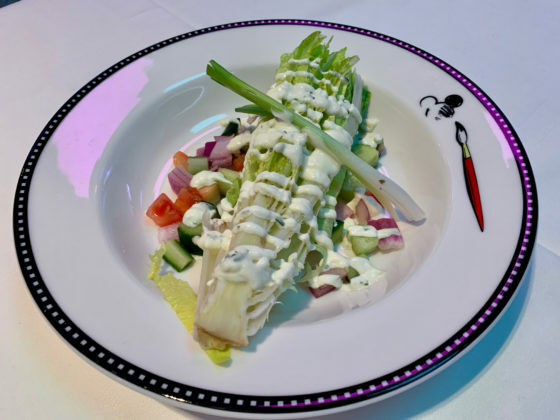 Black Panther - Katchumbari Salad Romaine Wedge served on a bed of Diced Tomatoes, Cucumber, and Red Onions with Lemon-Cilantro Mayonnaise. 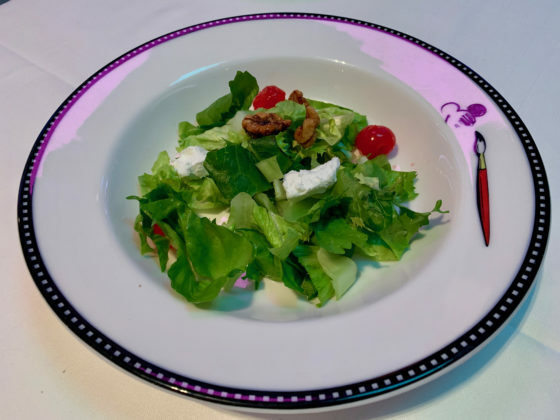 Iron Man – Californian Cherry And Walnut Salad with Goat Cheese, Baby Gem Lettuce, curly Endive and a Raspberry Dressing. 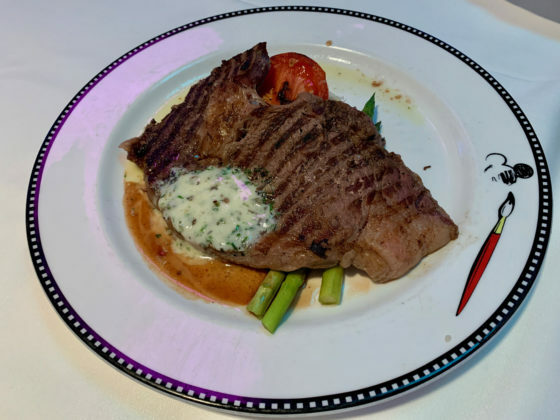 Incredible Hulk - Grilled Delmonico Rib Eye Steak with Black Truffle Butter, creamed and whipped Yukon Gold Potatoes mixed with Roasted Sween Corn, served with Green Asparagus, Roasted Tomato, and a Cabernet Reduction. 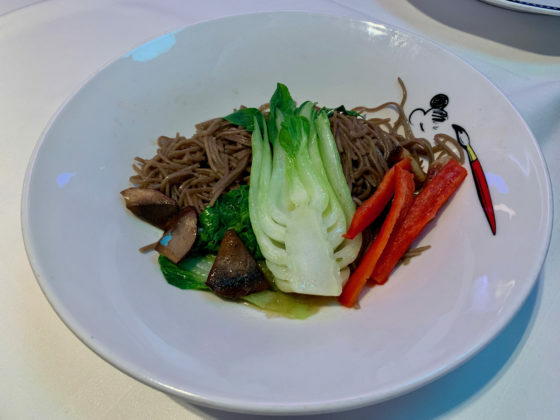 Scarlet Witch - Gingered Soba Noodles with Portobello Mushrooms, Baby Bok Choy, Roasted Garlic, Bell Peppers, and a Miso Broth. 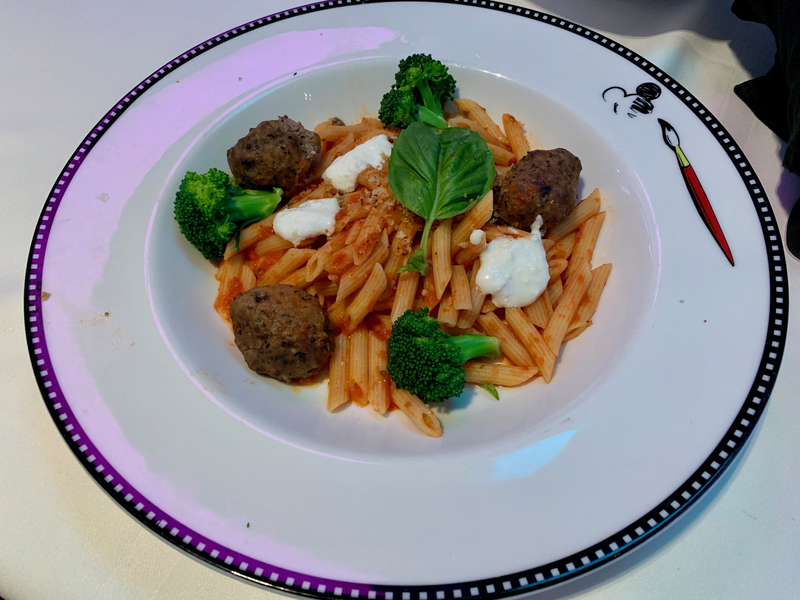 Thor - Mjölnir Meatballs and Pasta Beef and Veal Meatballs in a Rustic Tomato Sauce with Pennie Pasta, Broccoli, Ricotta Cheese, Buttered Breadcrumbs, and Basil. 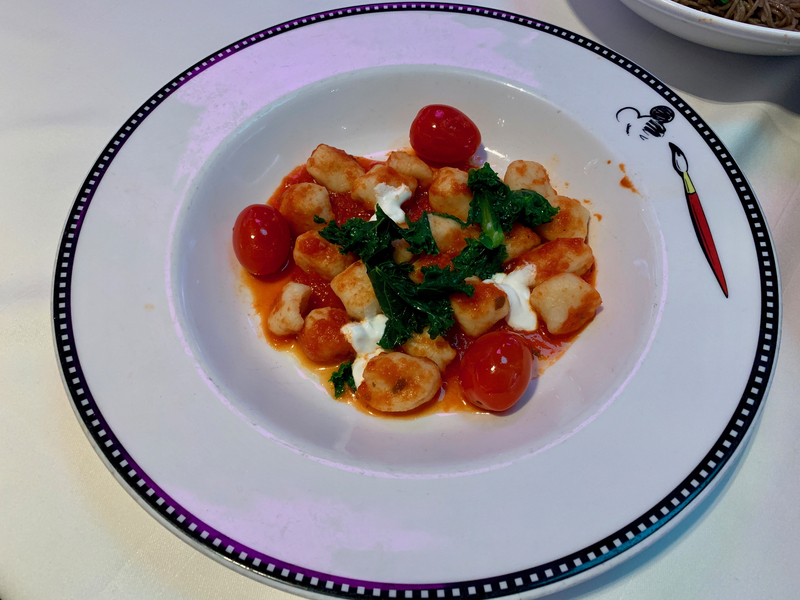 Scarlett Witch - Ricotta Gnocchi with Roasted Tomatoes, Spinach, Kale, and an Arugula Pesto. 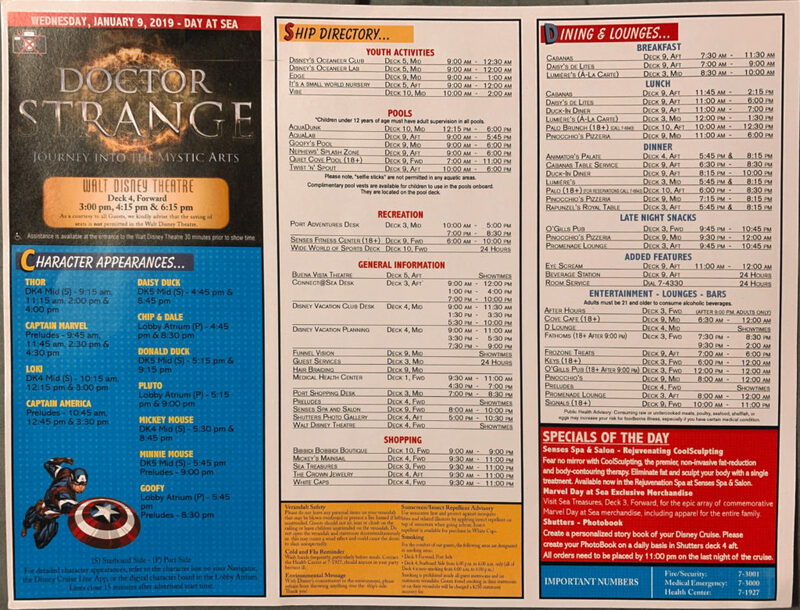 Incredible Hulk - Dr. 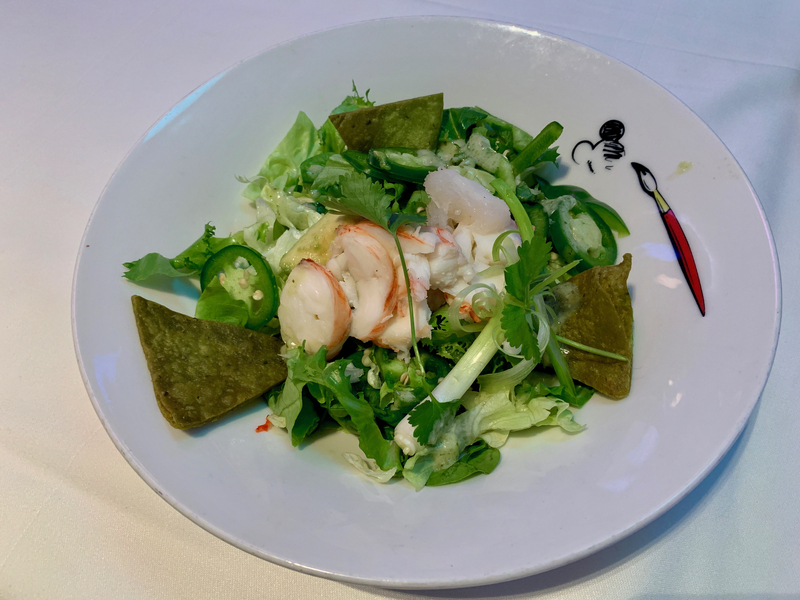 Banner's Greens and Lobster Salad with Poached, Sliced Warm Water Lobster Tail, on Boston Bibb Lettuce, curly Endive, Avacado, Green Jalepeño, Green Bell Peppers, Spinach, Green Onions, and Green Tortilla Chips tossed in a Green Cilantro Dressing. 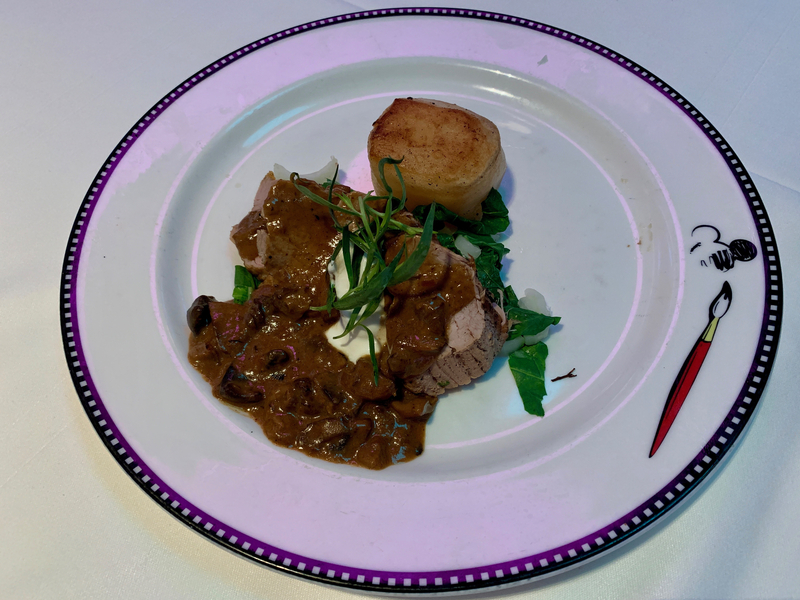 Hawkeye - Roasted Pork Tenderloin “Huntsman” with Fondant Potato, Buttered Collard Greens, and a Forest Mushroom, Cognac Sour Cream Ragu. 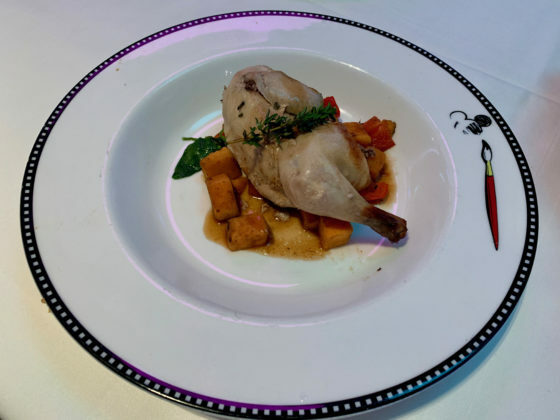 Hawkeye - Baked Buttermilk Corn-Fed Chicken on Sweet Potato, Bell Pepper, and Spinach Hash served with a Red Wine Thyme Chicken Jus. Awesome Mixed Sundae - Rocket Road Ice Cream, Red Velvet Meteors, and Molten Chocolate Sauce. 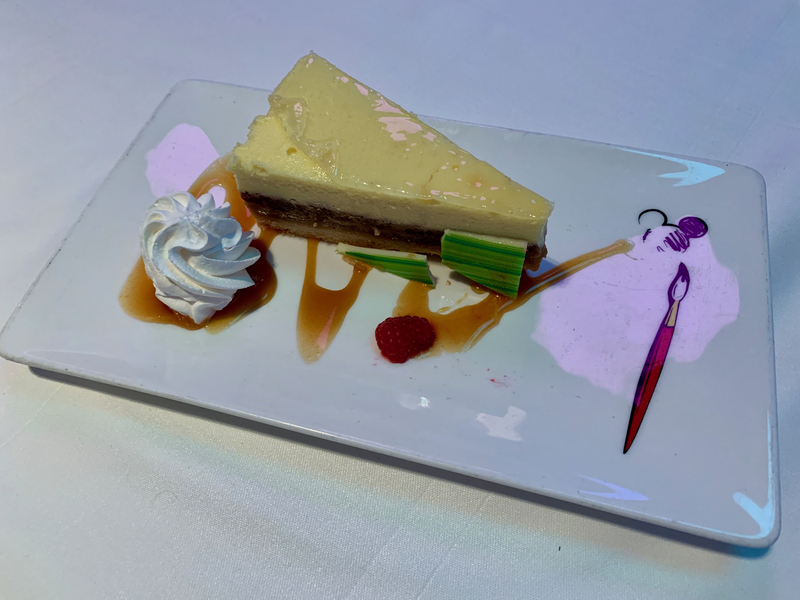 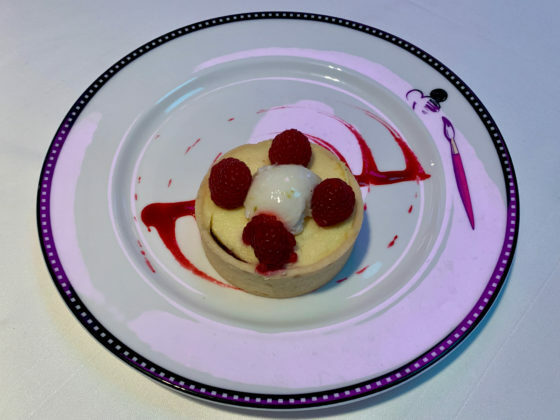 Signature Dessert: Southern Nights – a Vanilla Cheesecake on a Pecan Nut Custard Base with Salted Caramel Sauce. 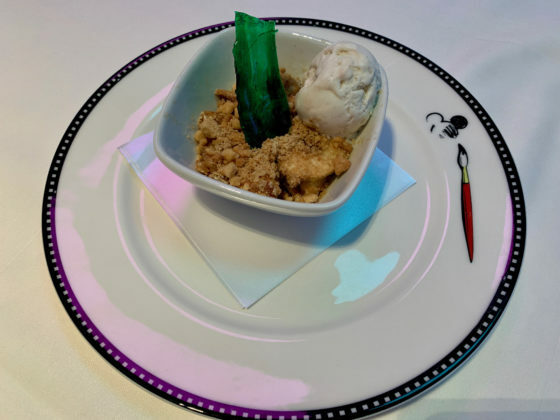 Collector’s Warm Apple Crisp served with Vanilla Ice Cream and a Sugar Shard. 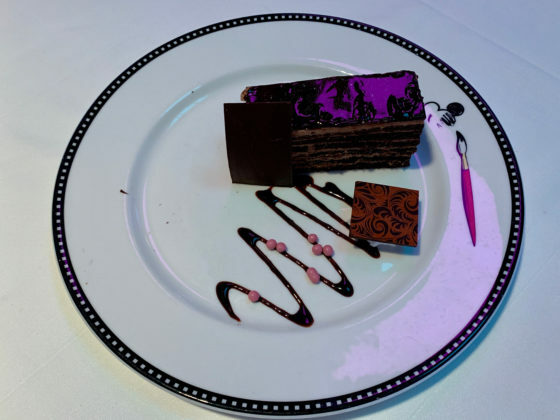 Ravager’s Devil’s Food Cake has multiple layers of Chocolate Cake filled with Chocolate Chantilly Crème. Bounty Hunter – Pastry Treasure Chest filled with Raspberry and Custard, hidden under fresh Raspberries, and topped with a Key Lime Dome. 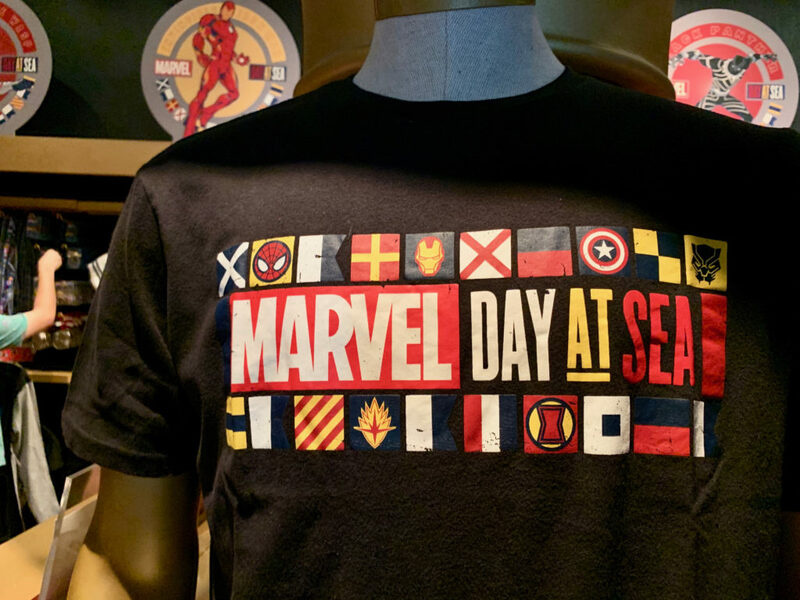 Of course, to put the exclamation point on the day is the “Marvel Heroes Unit” deck show that included the first appearance of Captain Marvel in action and, of course, a cameo from the great Stan Lee. 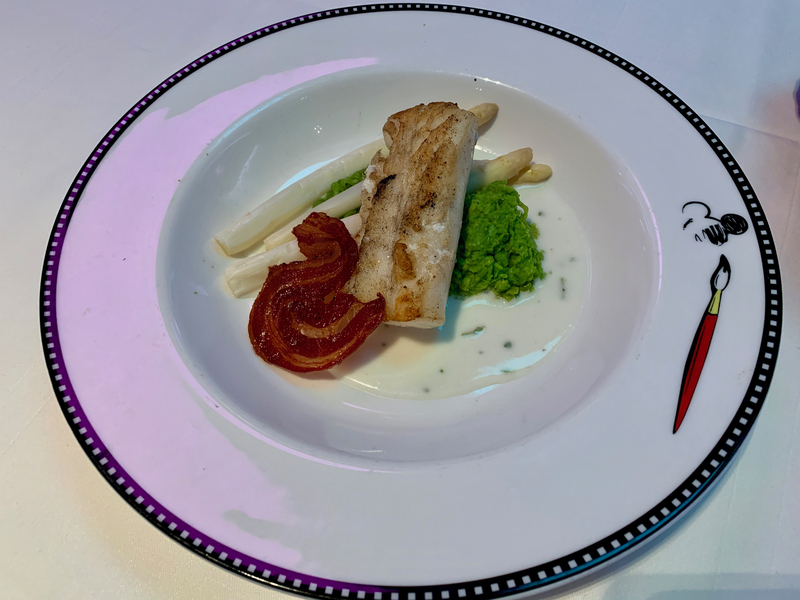 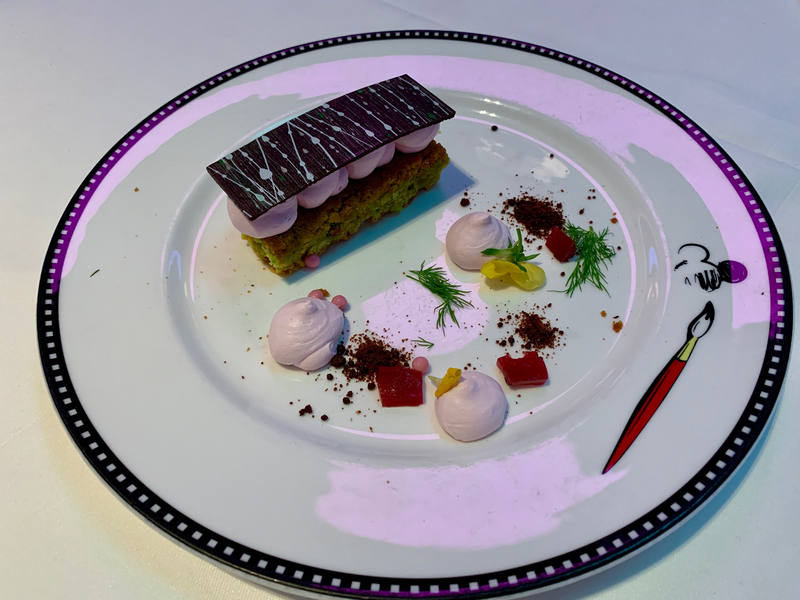 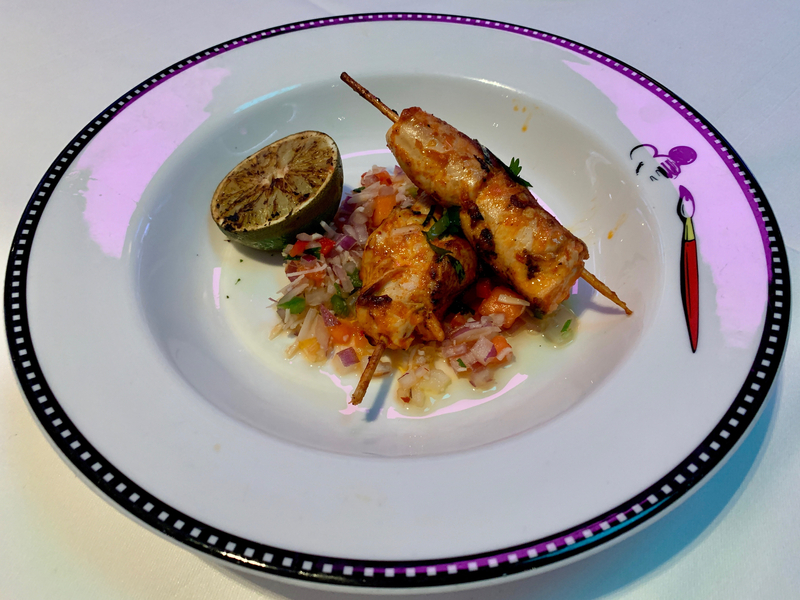 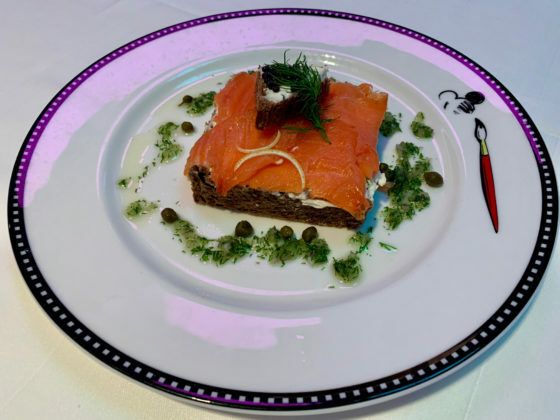 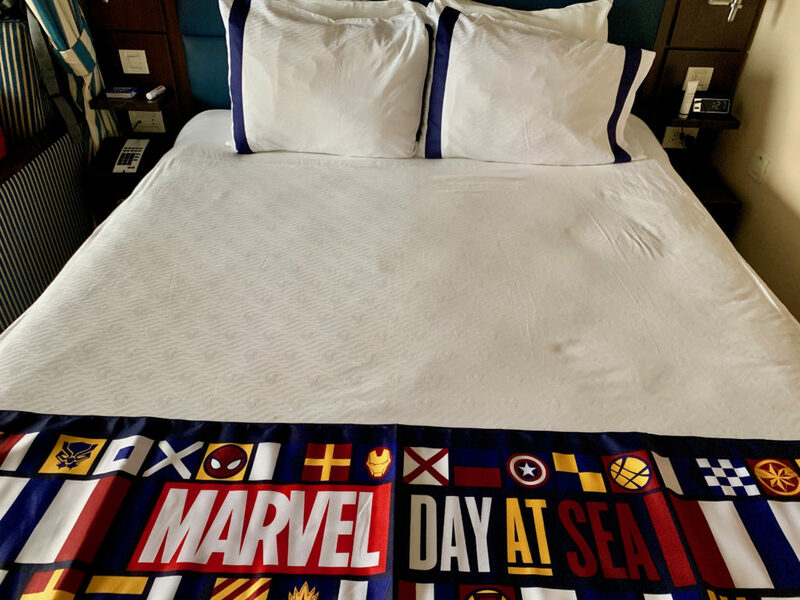 These are just a few of the highlights of this amazing day — there are far more things that we didn’t get a chance to see, so if you hear anyone say “there isn’t enough to do,” they obviously didn’t leave their stateroom. 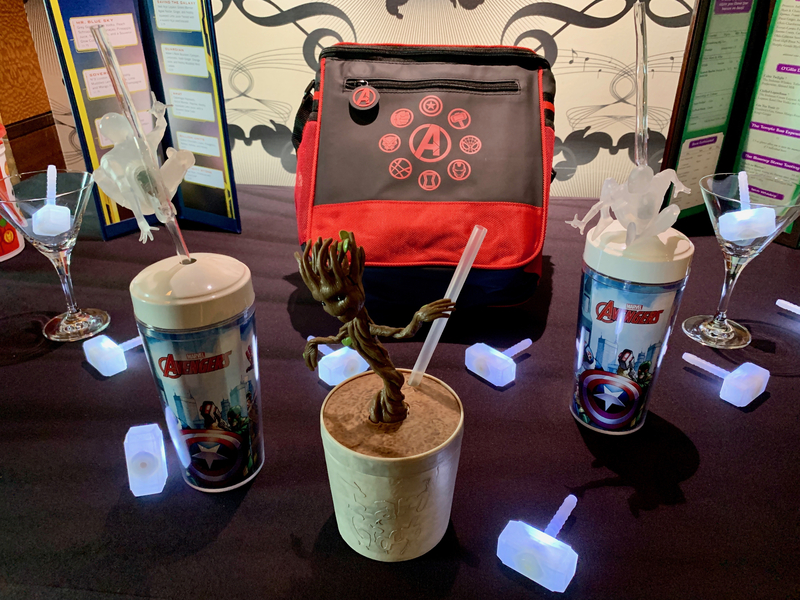 From Animation Academy where guests learn how to draw popular Marvel Super Heroes—like Spider-Man, Captain America, Iron Man and Groot—to the Ravagers Night Club to close out the night. 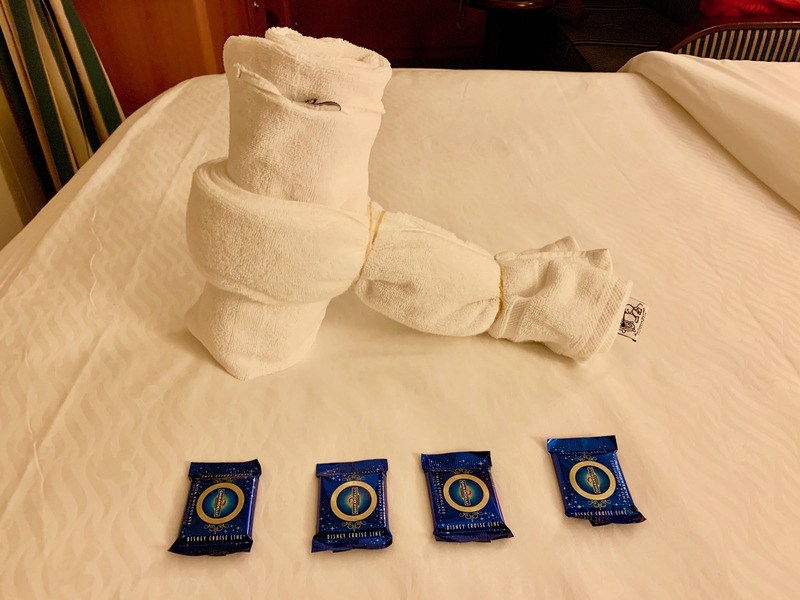 But, back in your stateroom, you will find an MDAS bed runner and a special surprise made out of towels. 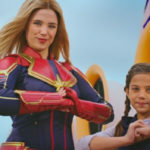 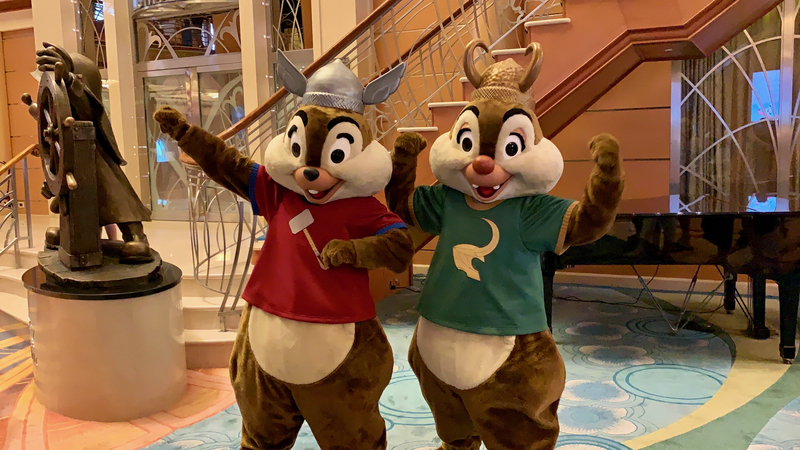 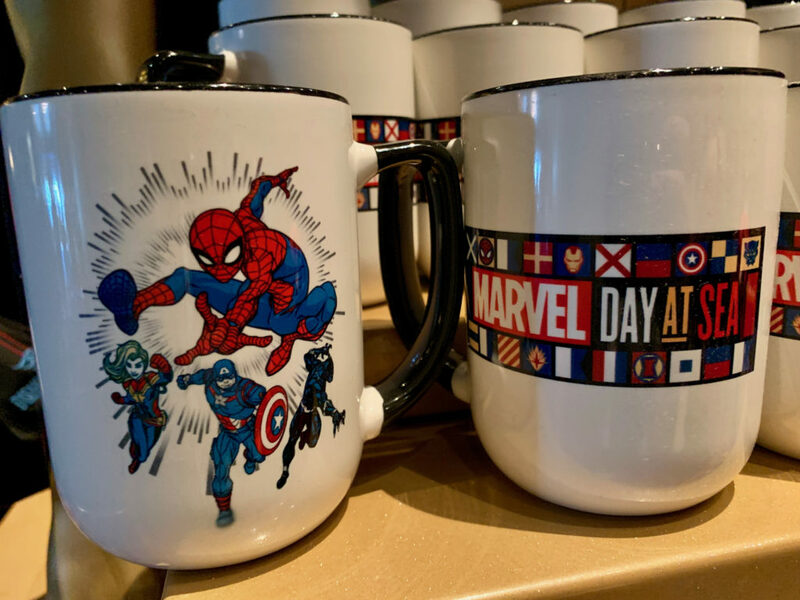 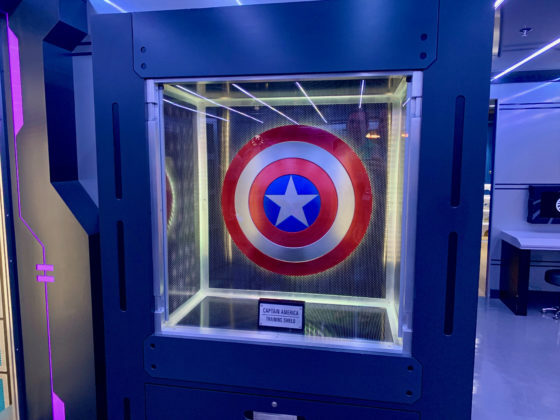 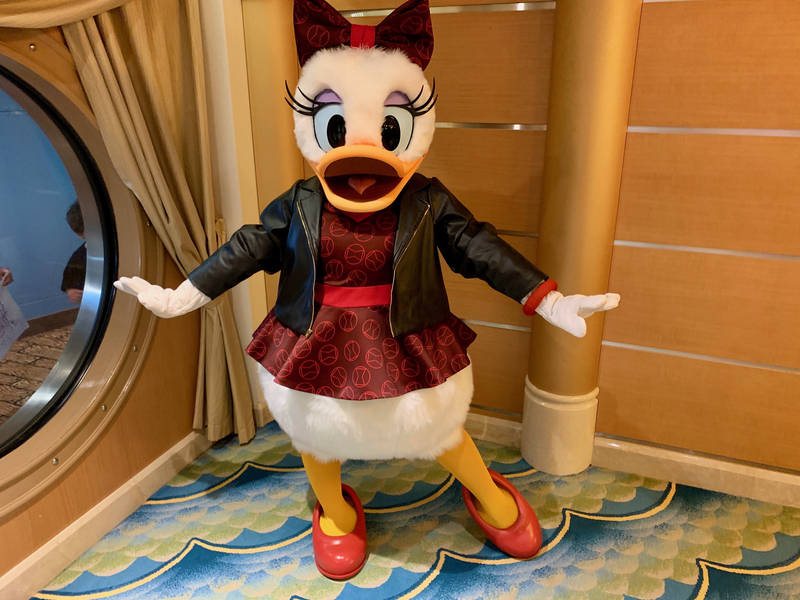 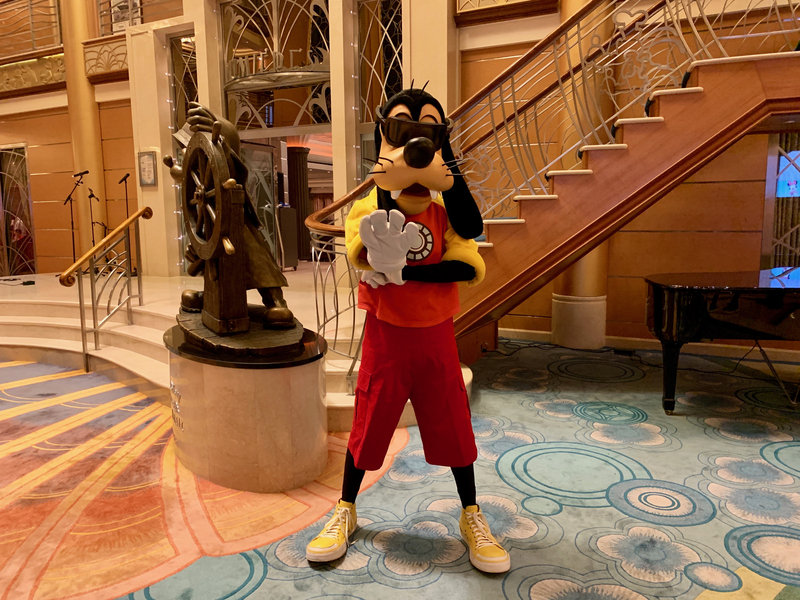 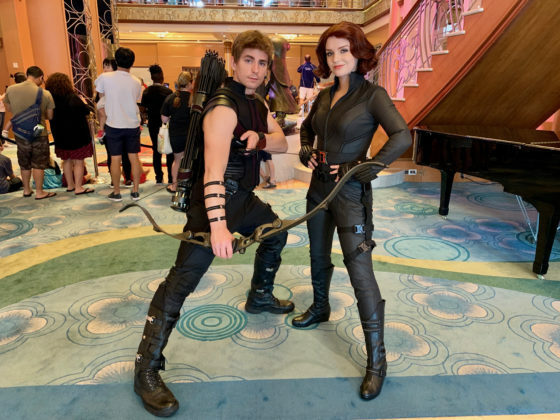 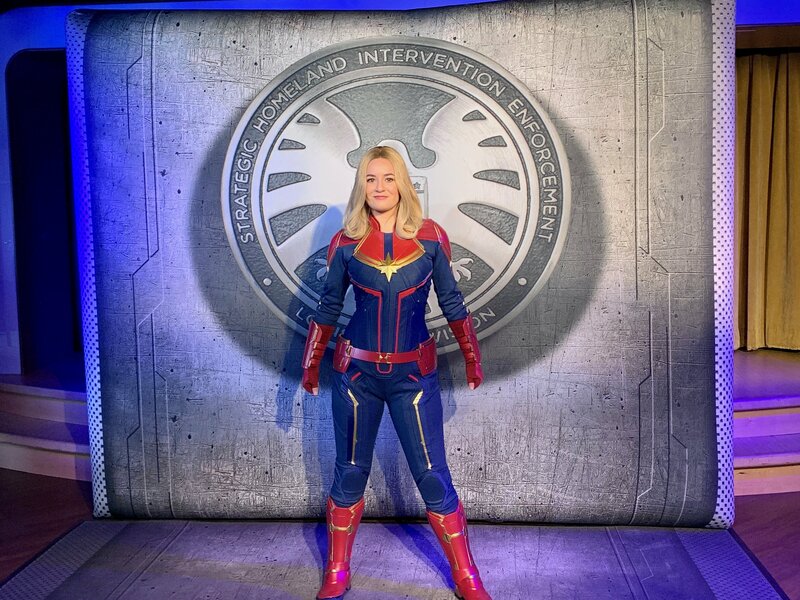 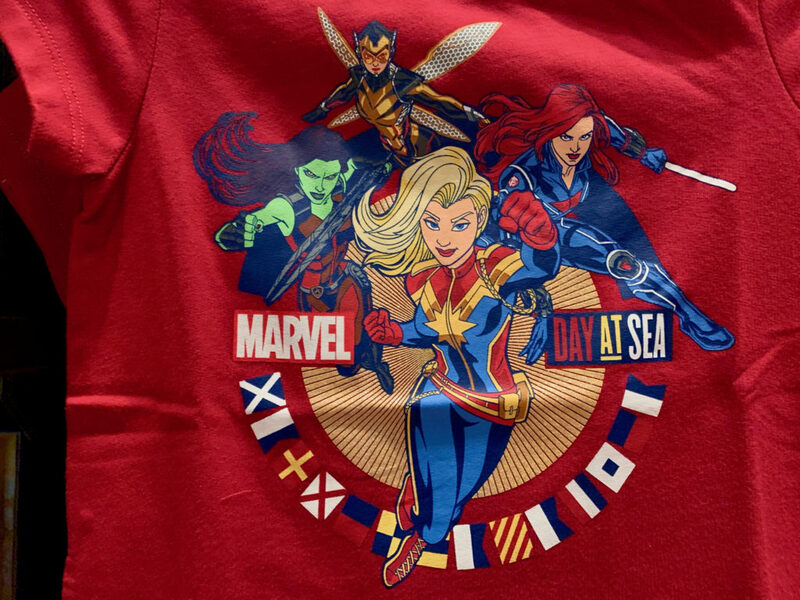 Now you have a few more chances to board the Disney Magic and enjoy the “Marvel Day at Sea” so don’t wait for a snap to happen head HERE to book your cruise while you can.